at St. Theresa's in the Lower Level. Students enjoy fellowship, lunch, and a break away from the normal school day. ALL High School Seniors are welcome to join us. Our community is blessed to have families serve as Dinner Angels each Wednesday for our young people and Catechists. Thank you to all the families who continue to give of their time, talent and treasure in serving our young people each week. Click on the Ministry Scheduler Pro link for up to date schedule/changes. As always, give Jen a call with any questions! 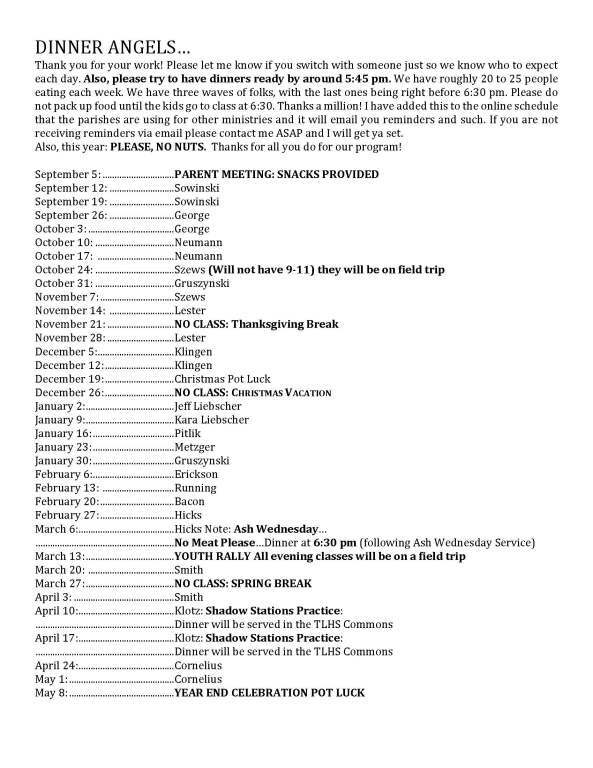 Please find below the Dinner Angel Schedule for this Program Year.